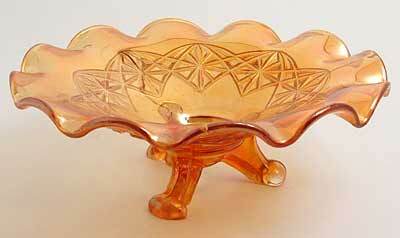 I'm aware of these in only this shape; three feet with a sort of star and arch pattern on the exterior. The interior is plain. Figure values at $40 to $50 for the marigold, more for the other colors.